How did Mark Roseman, a well-known California attorney, end up in prison? How did he endure losing his freedom and being in a starkly different culture, complete with its own language and unwritten rules? And how did he put his life back together when he got out after two years? 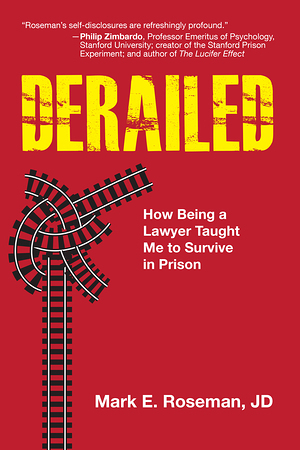 Mark shares the story of his transformative journey in Derailed—part memoir and part scathing indictment of the American justice system. Although politicians earn votes and donations by being “tough on crime,” mandatory sentences, three strikes, zero-tolerance drug policies, and other draconian rules, which result in longer, harsher penalties and deprioritize rehabilitation, create enraged inmates who are eventually released back into their communities only to sink back into the world of crime—and back through the prison system.